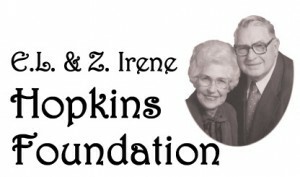 Hopkins Foundation established the awards in 2003 to give special recognition to those employees who demonstrate that one person can make a difference. Recipients must be full or part-time staff members in good standing in any Lyon County school district – North Lyon County, Emporia and Southern Lyon County. Nominations can come from employees, students, parents and others in the community. The person making the recommendation must provide a brief written statement describing the action or contribution of the employee and its benefit. Nominations will be accepted at any time during the year. A selection committee will review nominations periodically throughout the year as they are received. Potential winners will be verified with the nominator and/or the direct supervisor. Winners will receive cash awards of $2,000 at a recognition event scheduled through the building principal or department supervisor. Innovation/Initiative/Simplification – Recognize leadership of, or outstanding participation in, a project or process of improvement that aligns with the district mission and/or streamlines our operations. Collaborating as one team, school, or district – Recognize outstanding commitment to teamwork by thinking creatively, removing internal boundaries, and communicating effectively. Noteworthy service – Recognize extraordinary service that exceeds our (internal or external) expectations. Inspirational – Recognize the ability to inspire others to try new things or excel in new ways. Commitment to excellence – Recognize excellence in any endeavor that enhances the workplace and creates a positive work environment and culture of learning. All nominations can be submitted using an online form found on the three district websites – North Lyon County at www.usd251.org, Emporia Public Schools at www.usd253.org, and Southern Lyon County at www.usd252.org. For individuals without internet access, paper forms are available at all schools in the three districts and the district offices in Americus, Hartford and Mary Herbert Education Center in Emporia.